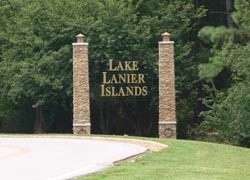 Bordering Lake Sidney Lanier and the Blue Ridge Mountains, Hall County provides residents with quaint neighborhoods, excellent schools and numerous business opportunities. Originally a trading center, Hall County has developed with vibrant and diverse communities. Gainesville, the seat of Hall County, has come a long way since its beginning as a frontier town. In its early history, the town was a trade and supply center during a gold rush, shipping center for local lumber, summer resort, and production center for cotton. A deadly tornado and the Great Depression led to hard times in Hall County, but the community recovered following the Second World War. 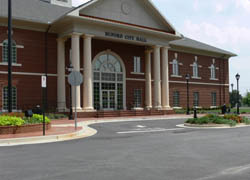 Not only have many industries moved into the area, but various financial, educational and medical institutions have made Hall County their home. Hall County is home to 47 Fortune 500 companies, 40 international companies and more than 300 manufacturing and processing businesses. Agribusiness is a large part of the economy in Hall County generating more than $720 million and leading the state in diversified farm production. 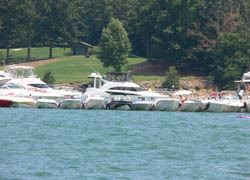 A skilled workforce and excellent quality of life draw many businesses to Hall County. Many technology-based industries including Biotech companies, software developers and telecommunication firms are investing in Hall County and its communities.